The staff at LikeAble has no doubt that being a teacher is not just a profession — it’s a true calling. We respect the work of these amazing men and women. To mark the beginning of the new school year, we offer you this amazing compilation that’ll introduce you to some of the coolest and most exciting teachers on Earth! Who needs those boring lectures anyway? This professor knows exactly why lectures are important! This is what our first History of the Middle Ages lecture looked like! 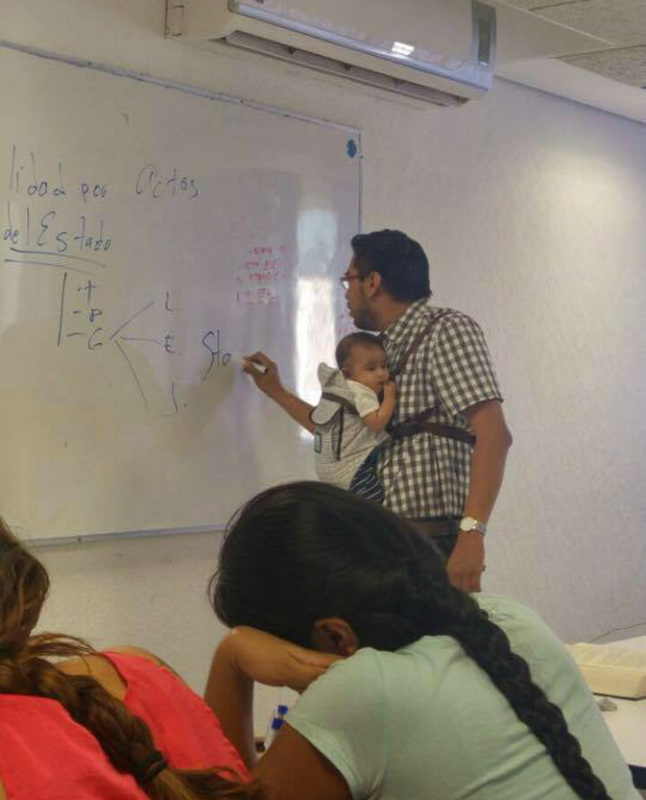 Today, our teacher spent most of the lesson minding the baby of one of my classmates! Our teacher is the most honest person in the world! This professor doesn’t trust all those fancy laser pointers. He stays faithful to the old traditions! Each morning, our teacher writes motivational messages on our desks! This teacher really loves his students and cherishes every minute spent in their company! Our professor is always happy to see us. And he never hides his joy! Looks like we’re going to get along with our new teacher after all! Some teachers are too resourceful! On our first day back at school, my classmates and I were surprised by the renovations our homeroom teacher had made over the summer! You’ve got to love this teacher for not hiding his true emotions! Thanks to our teacher’s clever visual aids, we’ve all passed our Philosophy exam with flying colors!